Games recommendations ONLY from people who like games I like. 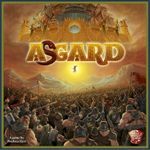 After having been into board games and by extension, BGG for several years-I have seen, as we all have, list after list after list. I have come to the (unproven) conclusion that some 'best game' lists are driven by factors other than the actual game. Some people like 'war stuff', some people go gaga over miniatures, some people are rabid about certain designers, etc....the point being-that these 'unseen forces' skew the lists in ways that I cannot know. SO-if you read this list and see that you too have virtually all of these games at or near your 'best games ever' list-then please go ahead and recommend more. If this list doesn't match your best games list-then-you know? Chicken vs. beef? Jazz vs. Rock n Roll? Blue vs Red? Neither is inherently good or bad-but we just like different things-so please do NOT add anything to this list. Phenominal game...in so many respects. I am a LITTLE fearful of putting this on as it is 'newer' and my view of it might change over time-but its a very solid game. What an absolutely beautiful game! YAGG (Yet another Great Game) I am sort of running out of superlatives here. Like Keyflower I am a LITTLE hesitant to put this on the 'superstars' list because it is newer-and so like Keyflower this rating might change (downwards) but it is still a very solid game. Best game of 2012. 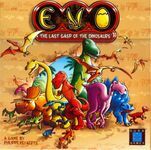 That most of BGG doesn't know about. A couple balance issues and rough edges, but even those notwithstanding, a great take on worker placement / mission completion. Best with 4 players. Plays significantly faster than most of the games in this list, but has unsurpassed depth/length ratio. Again, best with exactly 4. One of the (somewhat) older games that really holds up. Again, completely unique. If Agricola is your #1, then this can't be too far behind. It's really not similar enough to be considered an overlap. And this is still the only other Rosenberg after Agricola that you need. Almost like a 3d worker placement game where you don't just get more workers (knights), but they also have different levels, and you need knights of a certain level to go certain places, and knights of a higher level can boot out knights of a lower level. And for extra treachery, you can add squires to boost knights, which get thrown away, whether or not you ultimately win the spot. And then a nice additional dimension of placing your knights on the "normal" spots of getting "stuff" vs sending them off to war, which is a semi-coop affair. Best Queen game since Wallenstein (the original). No Felds in the list? Not sure if that's intentional. I'll throw this one out there. Fun take on action selection. It's admittedly a "vp salad" game. But then again, Agrocola kind of is too, so maybe that's ok.
Last one from me to let someone else have a go. This one is a bit of a brain burner, more so than the other games in the list I think. But lots of drama and "interesting moves" possible. Curt already recommended 2 of the 3 I would have added with Le Havre and Reef Encounter. I will only say that this is my #1 recommendation for you. Prepare to be blown away! 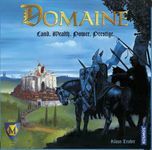 ...and since you like Caylus, so much, I feel it necessary to point out this fantastic new game by Caylus Designer William Attia. 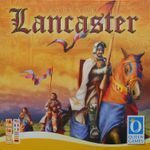 It isn't all that similar to Caylus but it packs a massive punch of tough decisions in a small box with a great 1 hour play time. I have really enjoyed my several plays of this thus far and am considering it for my game of the year. 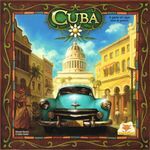 If you love Puerto Rico and Caylus, there is a good chance you will like Cuba. You like many of the medium weight economic and worker placement games. I bet you might like some of the heavy Splotter games like Antiquity, Roads and Boats, Duck Dealer, or Great Zimbabwe. Indonesia is not like anything you have but I bet that would float your boat too. This is a great tactical game that plays in under an hour.